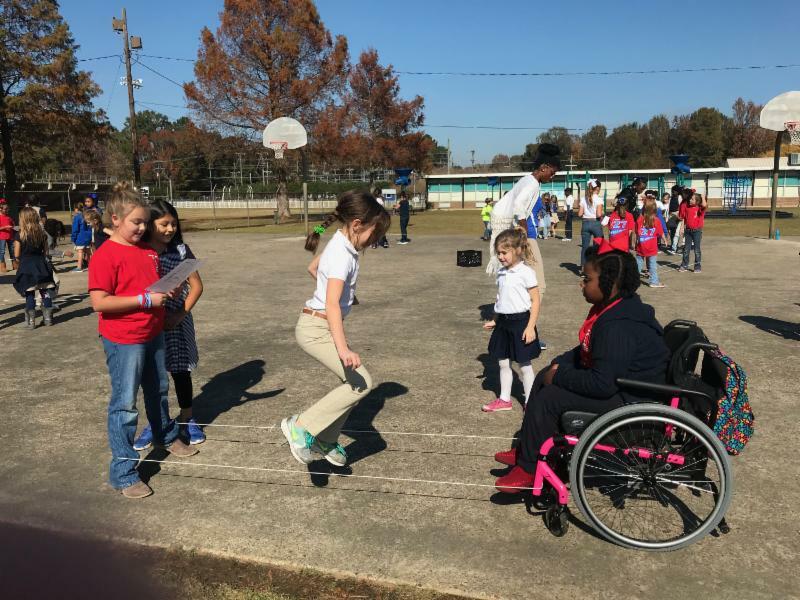 Taylor Grace Maxwell, Emily Constanza, Mackenzie Diaz, Abigail Malley, and Trinity Curtis play Chinese jump rope in Ms. Kristy Barbe's physical education class at Bains. 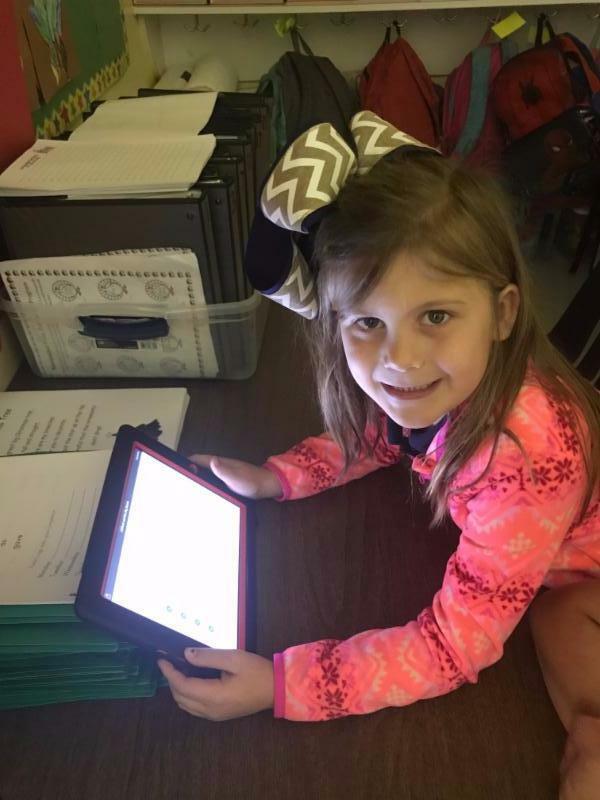 Ms. Jill Thibodeaux (Our Elementary Teacher of the Year) received a Donors Choose grant funded by the Associated Professional Educators (A+PEL) that will enhance engagement and learning in 4th grade math. 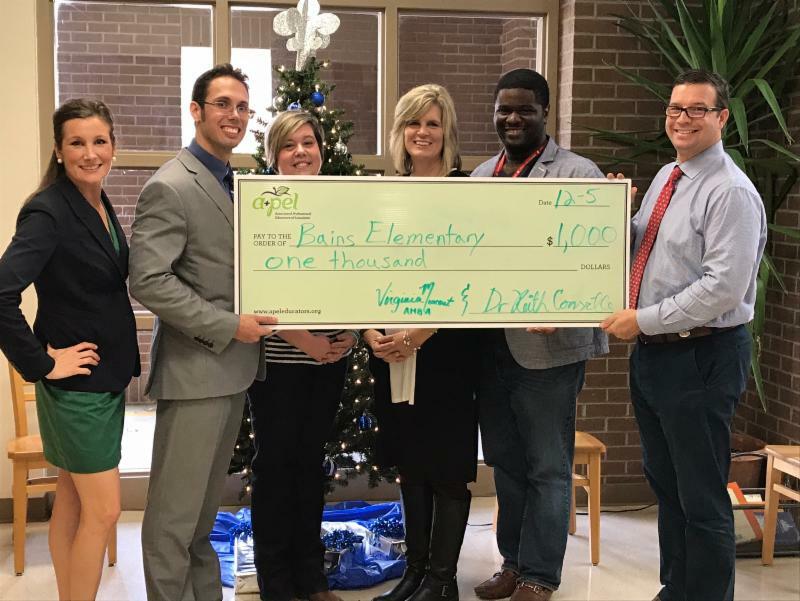 In addition, A+Pel and the Association member Benefits Advisors have partnered to contribute $100 to the next ten teachers that post to Donor's choose at Bains! A special thanks to Keith and Virginia for their support of our students and teachers in West Fel! WFMS rocks LACUE in NOLA. 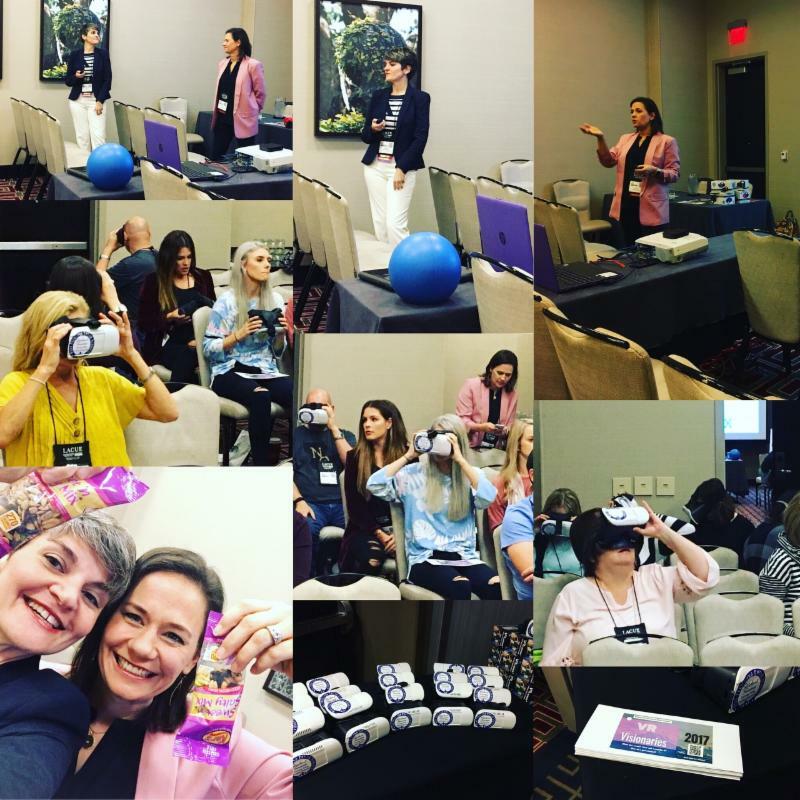 Ms. Heather Howle and Ms. McMillan taught other educators from around the state about the use of virtual reality in the classroom. The virtual reality equipment was purchased through a grant written by Ms. Howle. Teaching is Leadership! 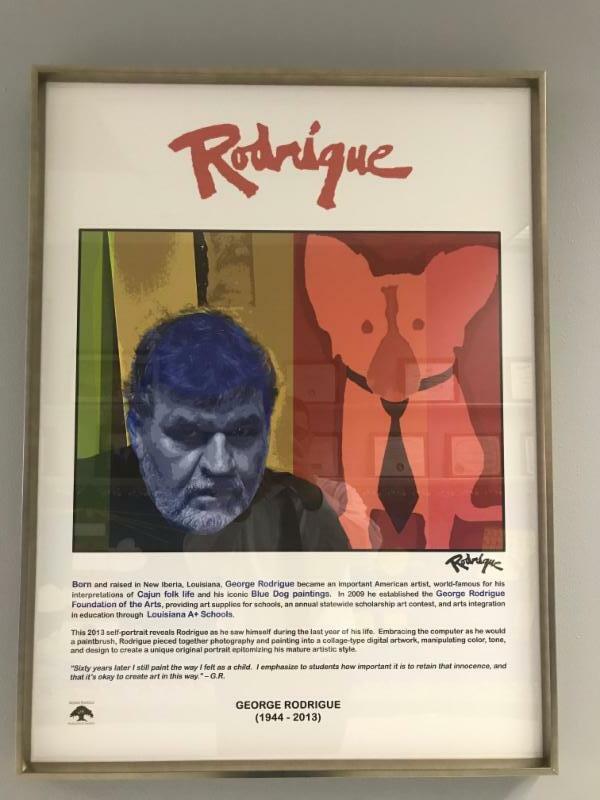 Bains Lower received a George Rodrigue Print as a donation from Wendy Rodrigue as a part of Bains Lower becoming a Louisiana A+ School. 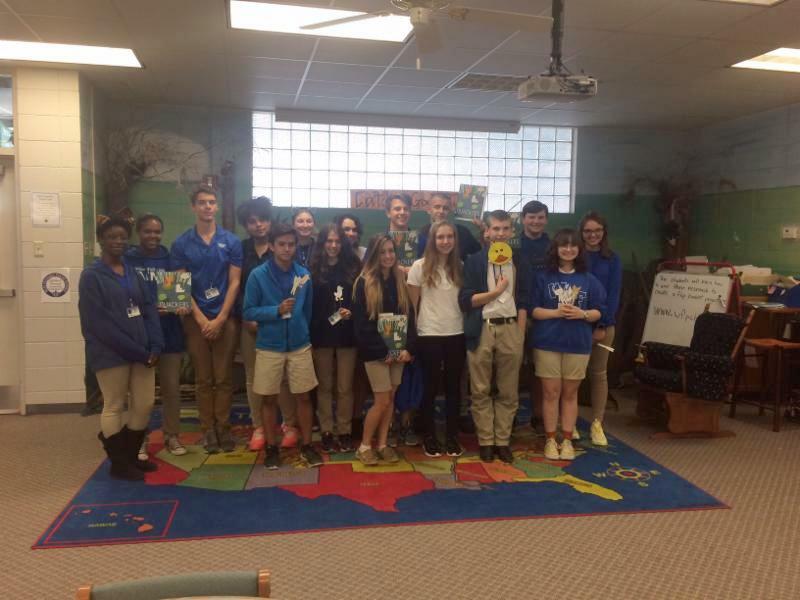 Mrs. Jacob's 7th hour Mass Communication 211 class visited Bains Lower Elementary to read the bookQuackers to 2nd grade students. 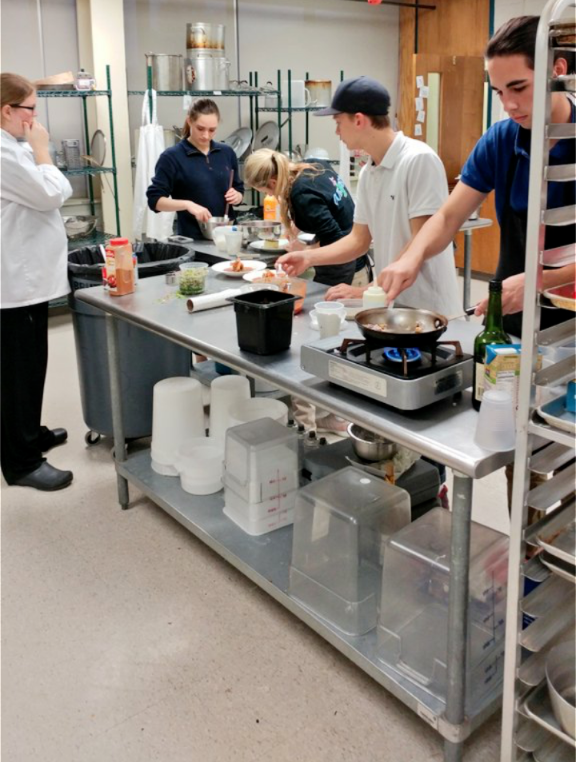 Practice makes perfect in Ms. Amy Dreher's Pro Start class. 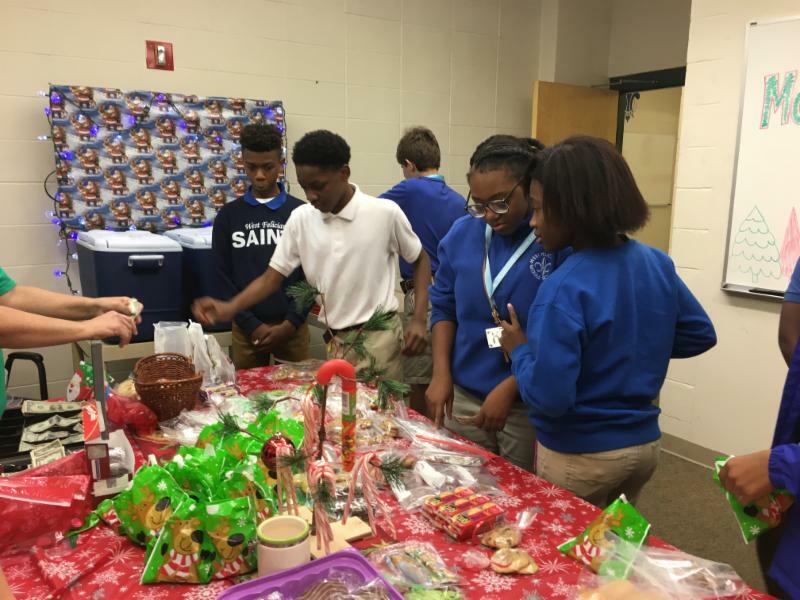 The GaP spread some holiday cheer with the Rudolph Market this past week. 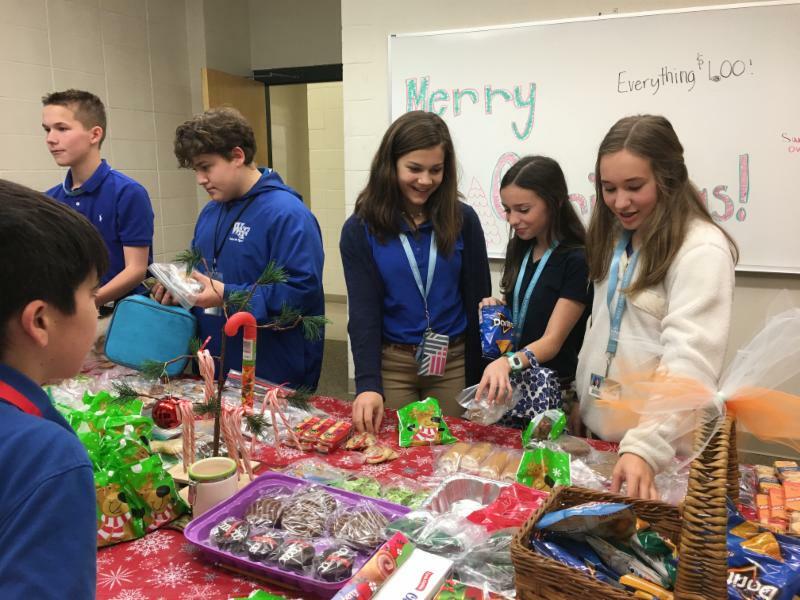 The students enjoyed the holiday treats, and all proceeds will benefit the middle school. This was a Win-Win! 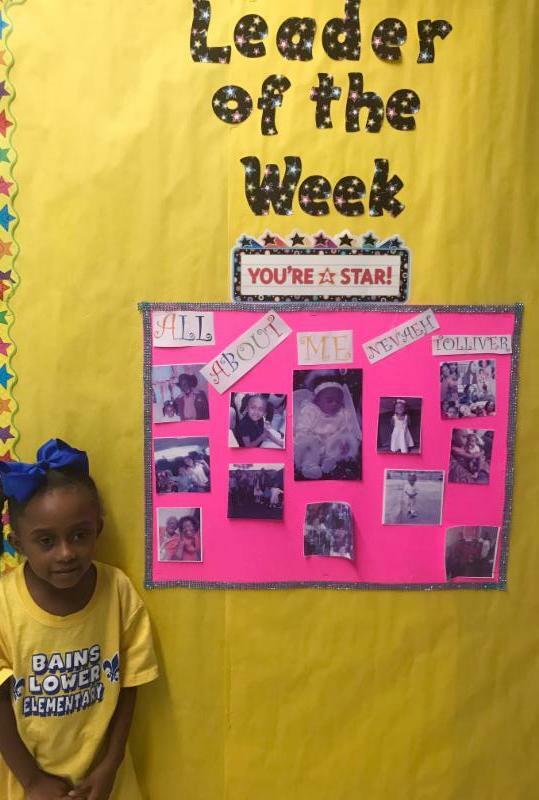 The Bains Lower Leader of the Week in Ms. Vanner's class is Nevaeh London. Mary Claire Barton takes her AR test online in Ms. Vanner's room. 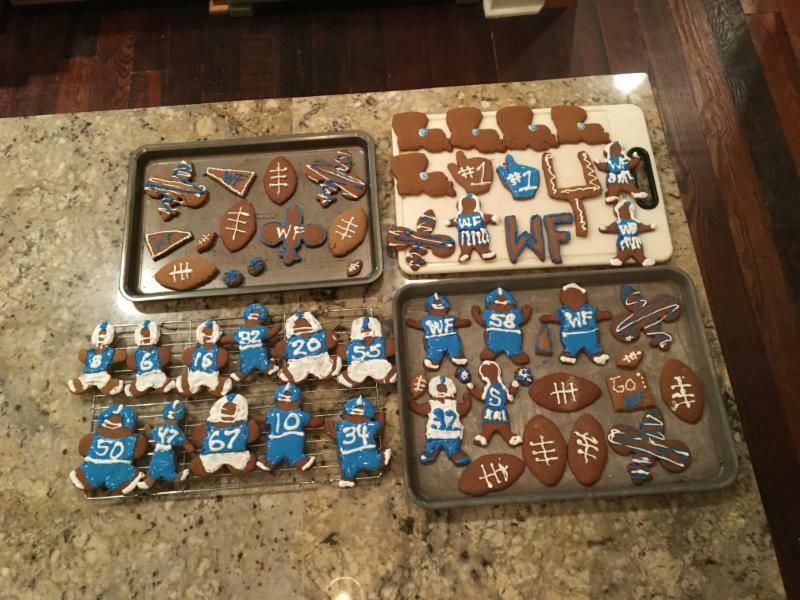 Championship week is mighty sweet! 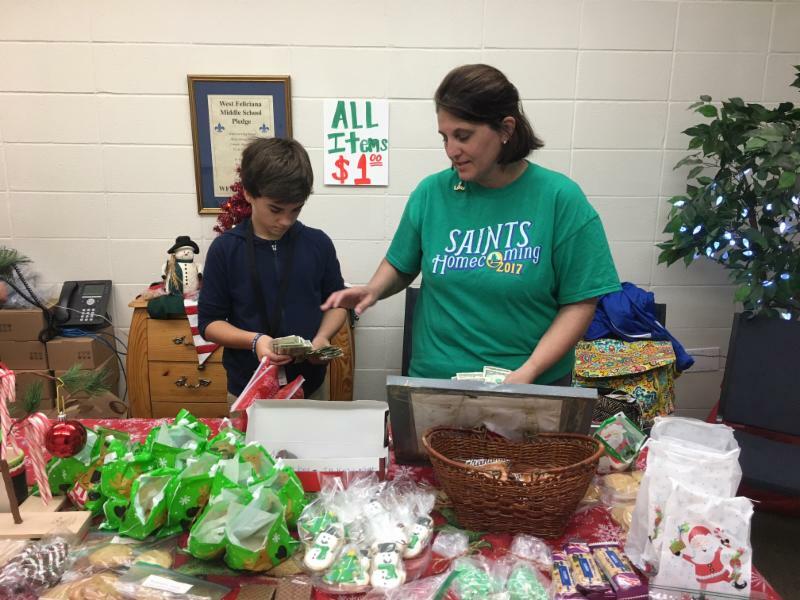 Mrs. Billy and Anna Giroir celebrated the Saints trip to the dome by baking something special. 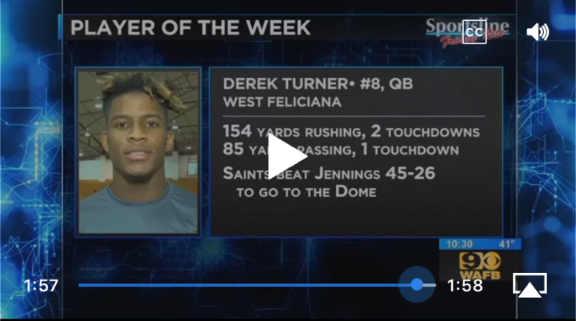 Congratulations goes to Derek Turner as Channel 9's Player of the Week! Derek is a great leader and a model student athlete. 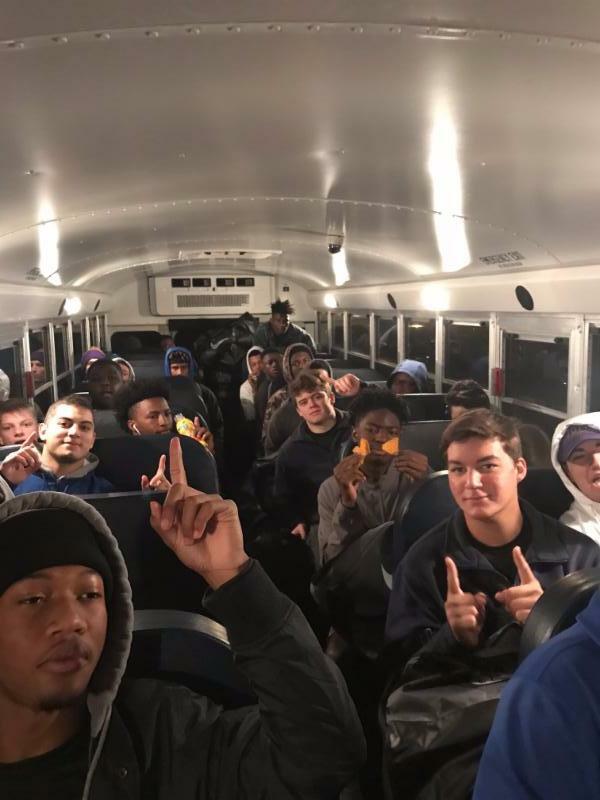 "The Day of the Big Game" by Zenobia Vessell Carter We woke up with happiness and we all gave a cheer. 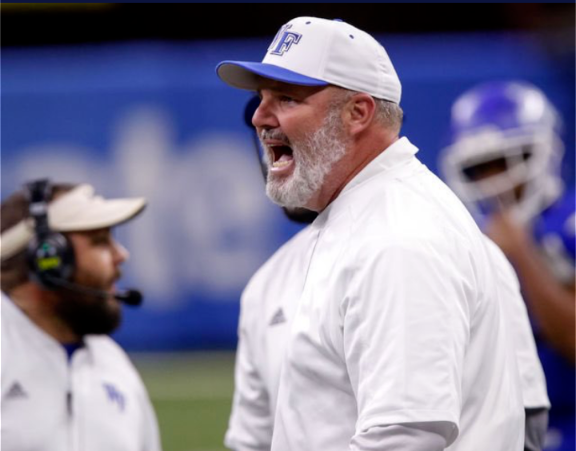 It's Championship day, it's practically here! And we frowned at that snow as it covered the town! I must get to New Orleans but what I could do now? And we thought very hard and gave a sly grin! 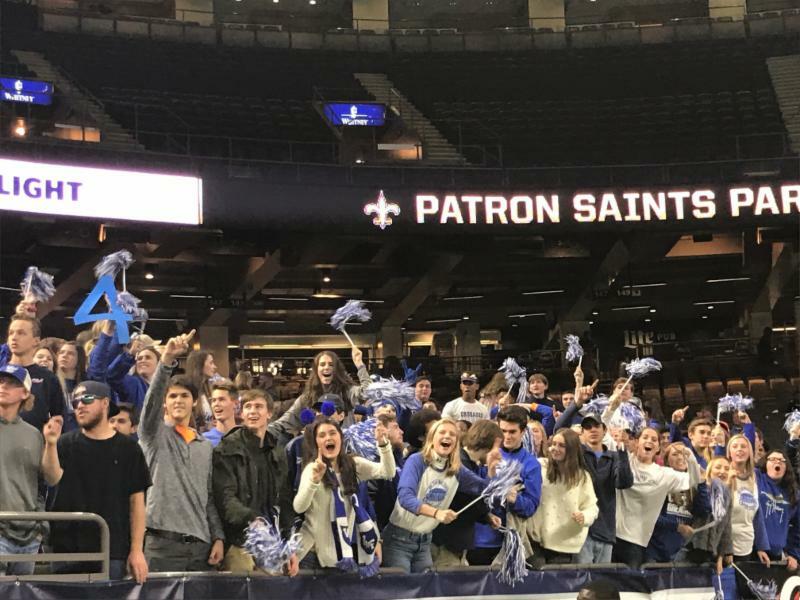 No matter what Richwood those Saints are marching in! 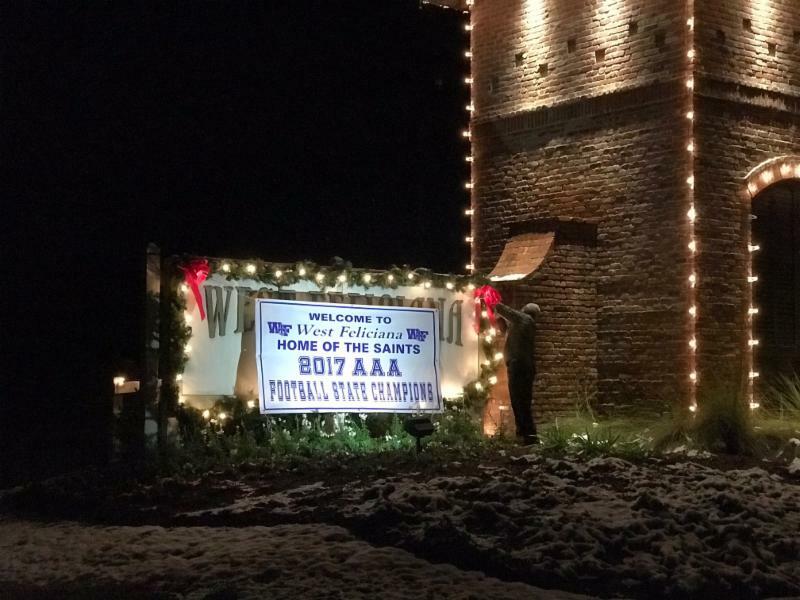 And all the Saints down in Saintsville were dressed and ready to go! 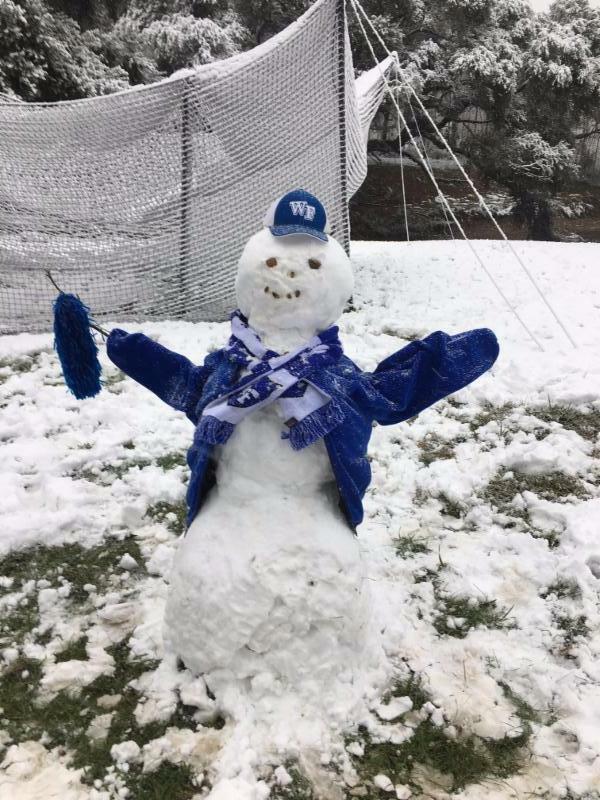 We've waited for years, we won't get stopped by snow! 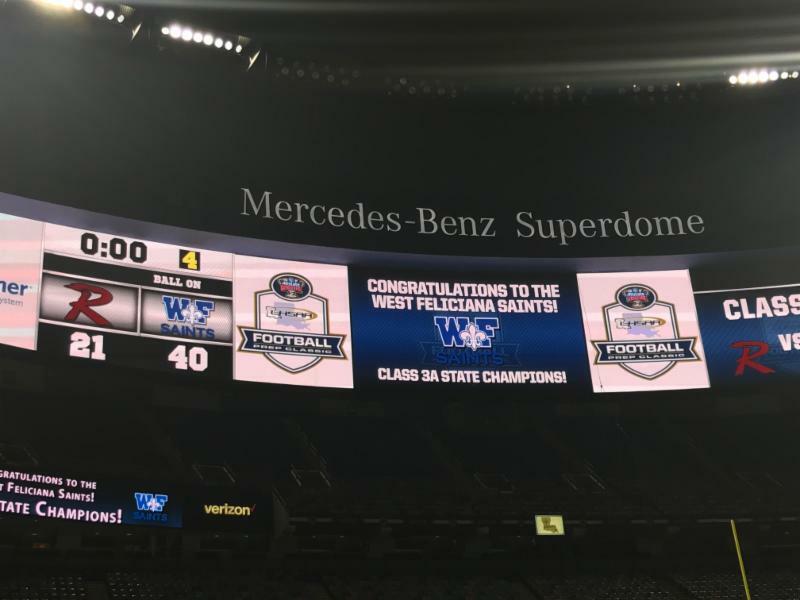 So on the Saints went and all you heard was this sound, History was made this day baby we are DOME BOUND!!! And we'll band close together with our Saints bell ringing And all the fans will be in harmony singing! "You got to want it, to get it" that's what we'll all say!!!!! Watch out New Orleans the SAINTS are the on the way!!! 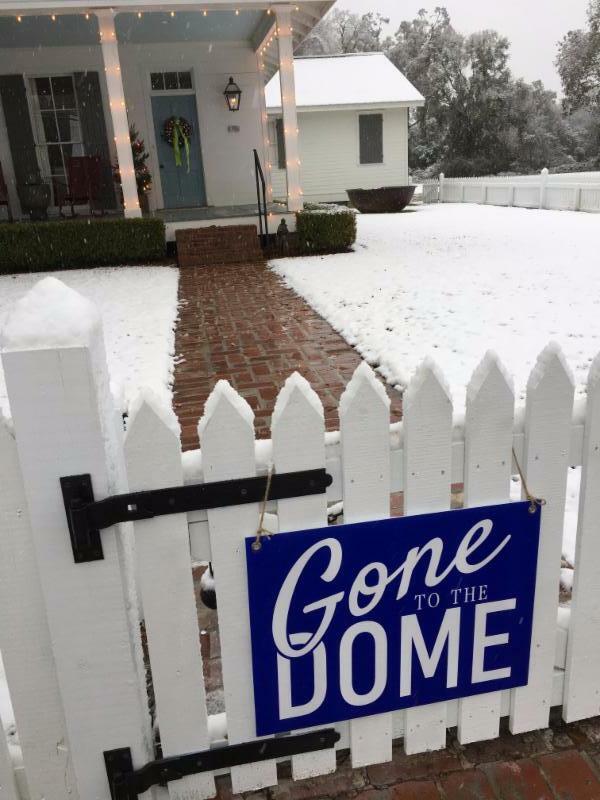 A special thanks goes to our community for traveling through the snow to get to the Dome! 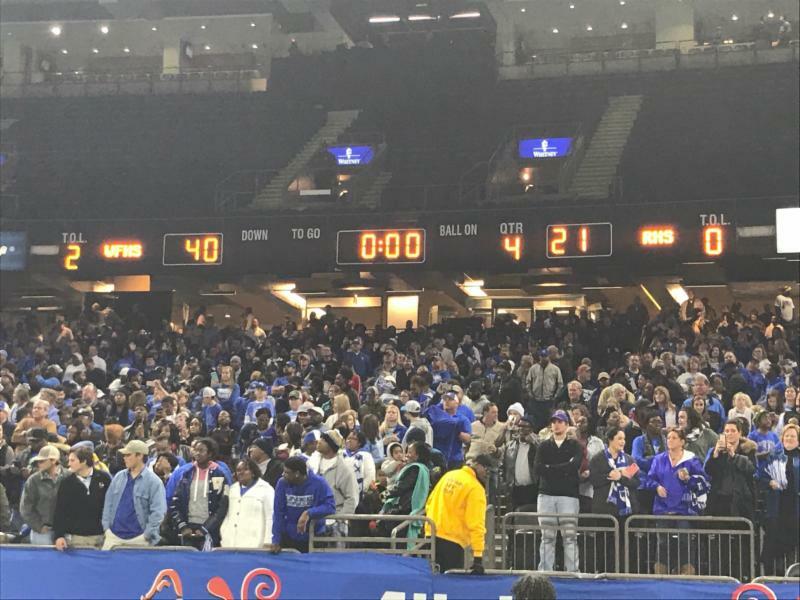 A reporter told me that we had the largest audience of all the playoff games! 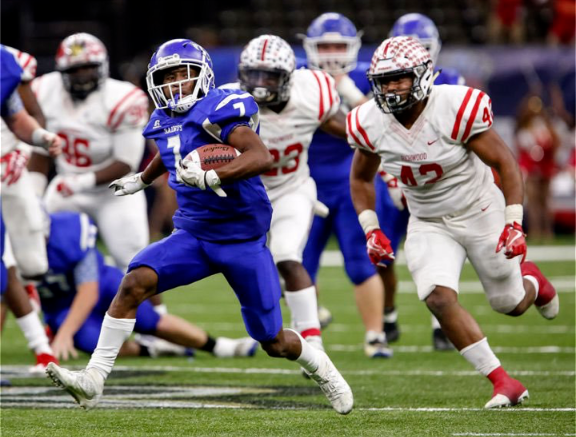 Congratulations goes to Davon "Smoke" Harris! 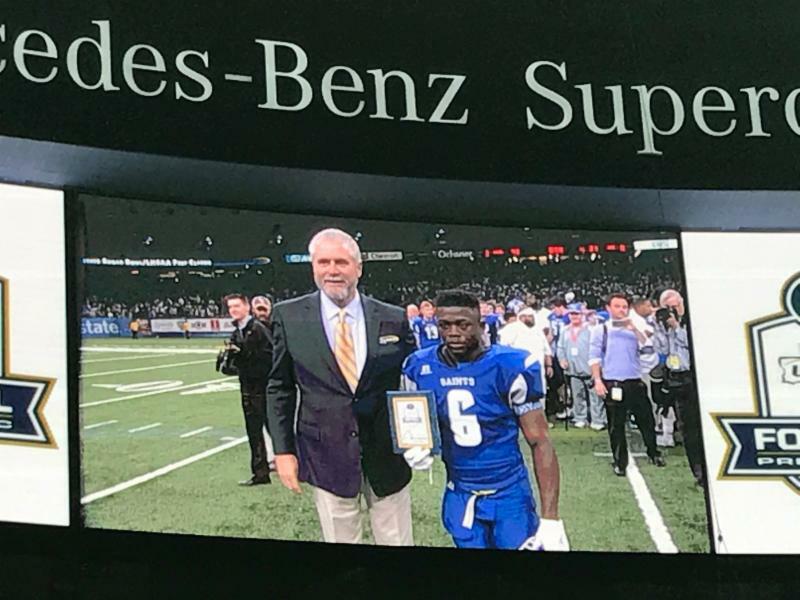 State Athletic Director Eddie Bonine awarded him with the honor of "Most Outstanding Player". 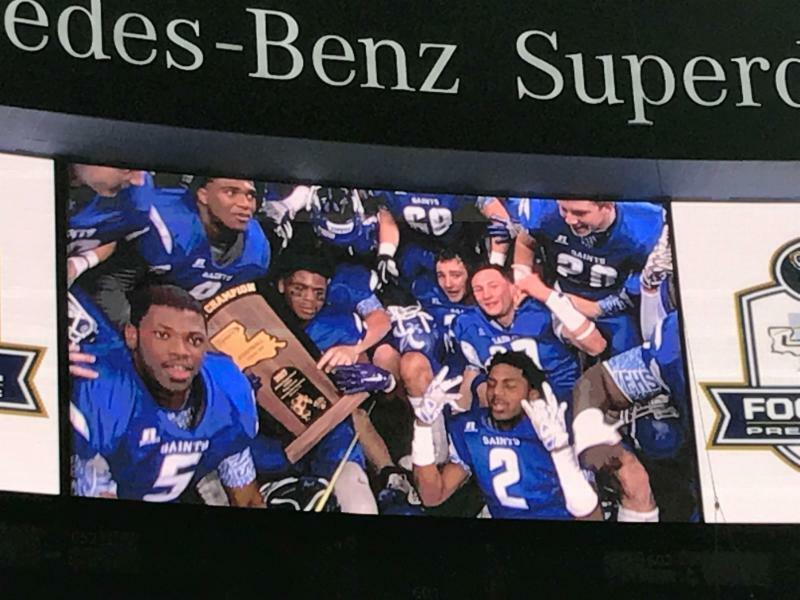 Smoke also set a Prep Classic record for kick return yardage. 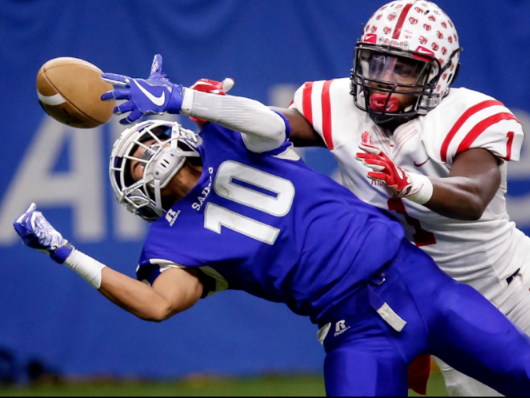 Senior Chad Tillery breaks up a pass intended for Richwood's Spivey. Clayton Howard makes a big run against Richwood. Dilly! Dilly! 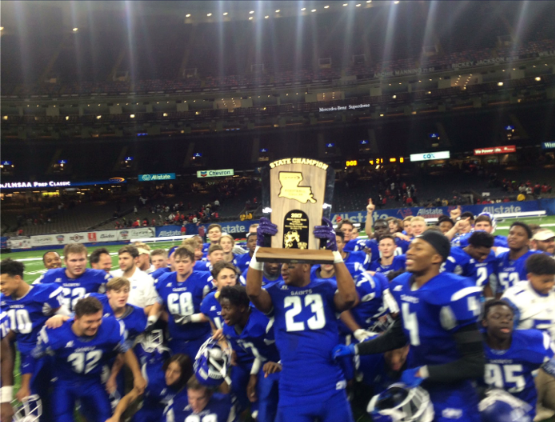 Our Saints are 3A State Champions! 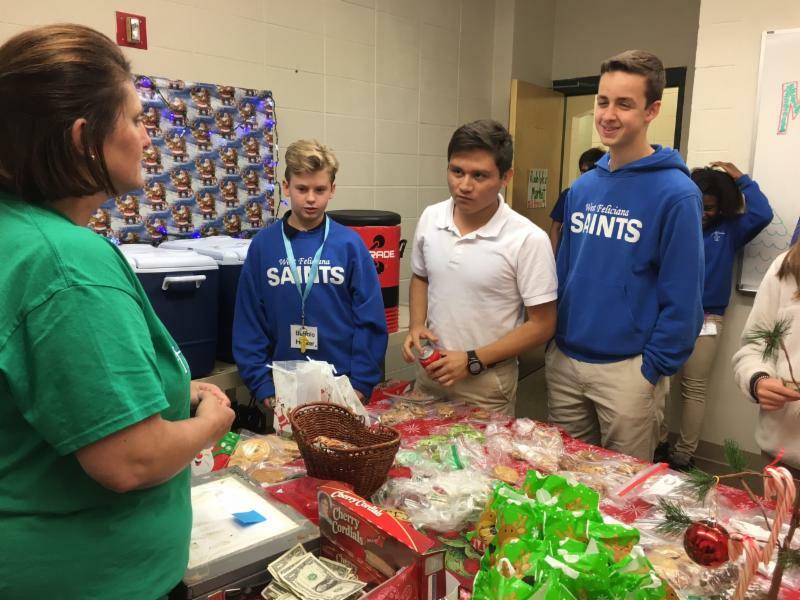 It is a GREAT Day to be a Saint! 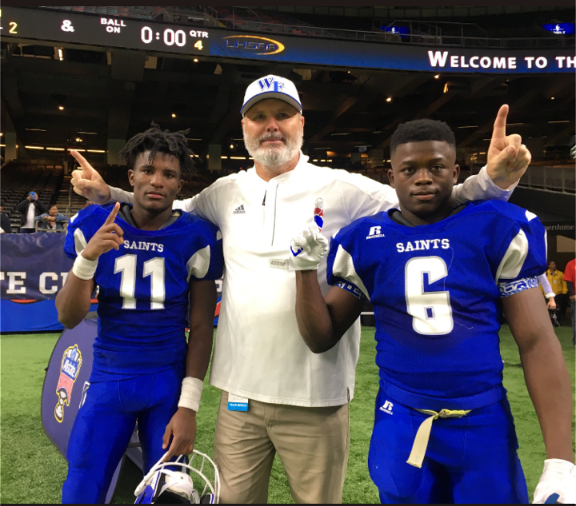 Seniors Derek Turner and Senior Davon Harris celebrate with Coach Robb Odom. 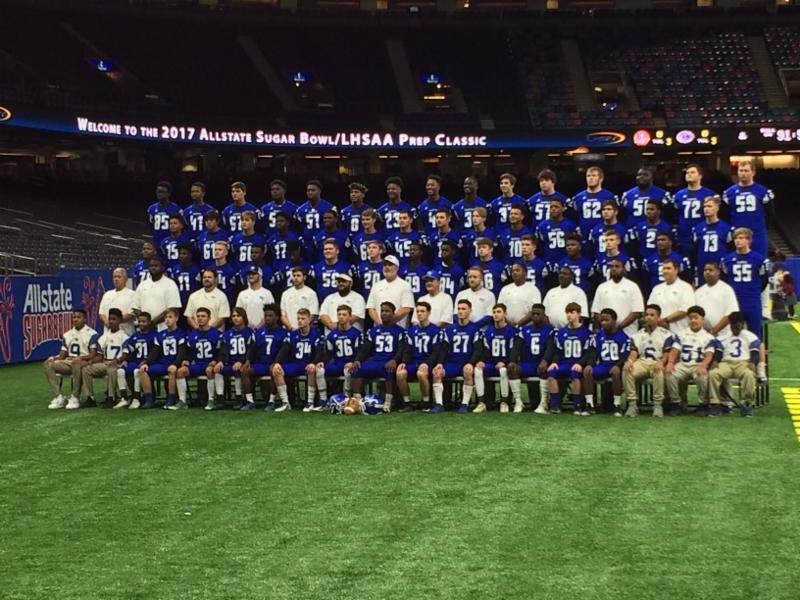 "This is the most awesome event in high school football, and I'm glad we could experience it." 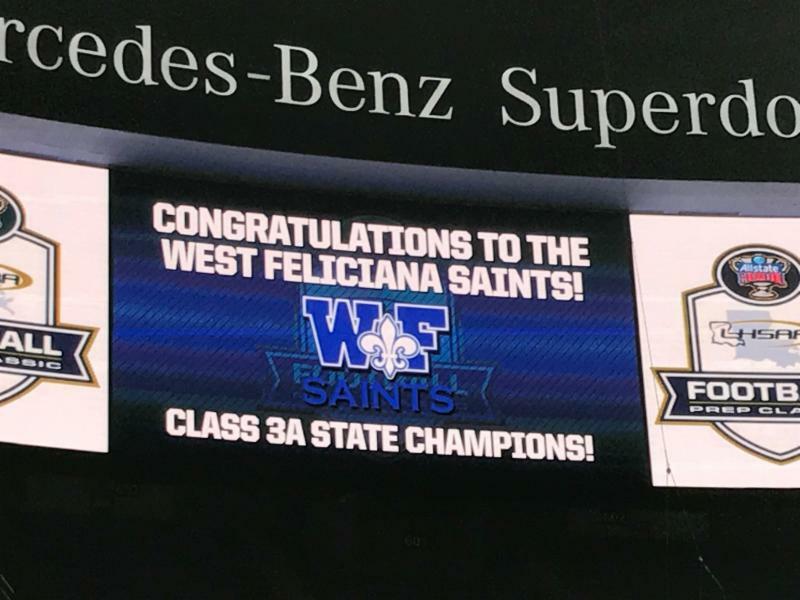 --Coach Odom #BelieveTheHype #WeAreWestFel Go Saints!